At Maddie's bra making workshop a few week's back I met the lovely Shiona and she was wearing a Kielo wrap dress by Named Clothing in a Ponte grey/black wide stripe. I recognised the design straightaway but it was the first time I'd seen it in person. It looked so elegant and easy to wear, I was smitten. It shows what a difference it can make to see something in real life. I always like seeing Named Clothing's new season look-books and admire the freshness and modern look of their designs but from the original pattern picture, it was not a dress I imagined on myself. It looked narrow and restrictive in the skirt - not what I like in a dress. 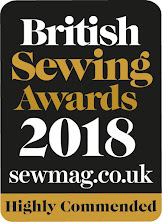 Then when I saw Shiona's I realised that is was quite the opposite, fitted at the top, flowing elsewhere and a dress that I could happily sit sewing in, walking Lottie or wear going out in the evening for drinks (a rarity but you never know!). Girl Charlee have downloadable patterns from Named Clothing (just the Kielo dress at the moment, but more to come!) and the lovely Laura from Named sent me the pattern to try. Named Clothing Kielo Wrap Dress. Sewn in size EU 36/US size 4/UK size 8 size. Length reduced by 6¼" measured upwards from the original hem to maintain the curved hem shape. Mark for the top of the split moved upwards accordingly. 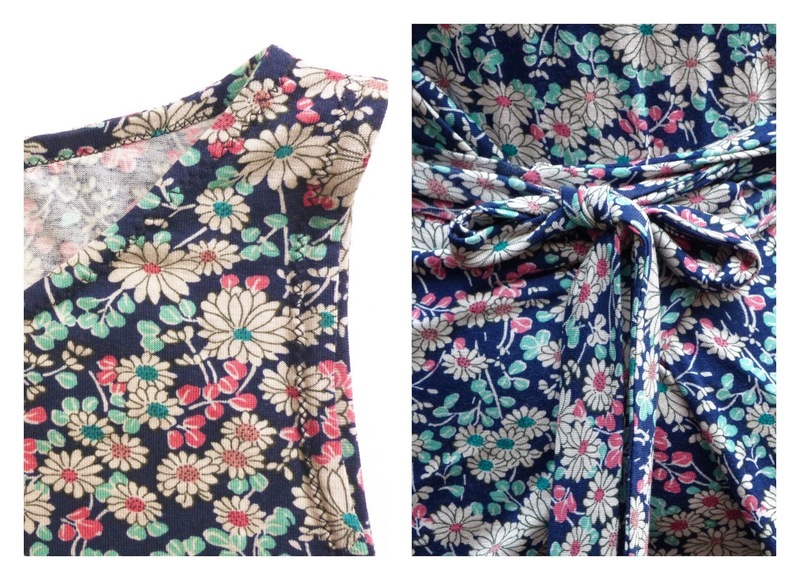 Fabric used: Pink mint daisy on navy blue cotton/rayon jersey blend, 142cm wide 2.5m. Width is just under the required 150cm but pattern pieces fitted with a little room to spare. Because the pattern pieces are placed to fit together in opposite directions to make the most economic use of fabric length, this dress is best sewn with non-directional prints, prints that work vertically in both directions or solid fabrics. This print is mildly directional but is so busy that you cannot tell the back is running the opposite way to the front. Stripes would look good but require a lot of accurate pinning. Drape and lightness works well with this style as it reduces bulk round the waist and hips. It is a bit of a challenge to trace between sizes because of the way the PDF patterns are arranged on the page. However on this style, it's the bust measurement that is most critical as the waist hip area is very wide to allow for the wrap. The lower skirt could be tapered out easily for extra width at the hem. As the fabric is quite slippy for marking dart lines with chalk, I used tailor tacks and soft pencil for the front and back darts. I have a tailor's tack video here. Prewash - Always prewash clothing fabric following any manufacturers instructions if you can find them! Some knits benefit from a light press but this one was fine. The fabric is very drapey so it will slide off surfaces easily. I cut it on the floor, laid out on a Durabac board equivalent to this. Take time to get the fabric flat and even and the selvedges together- this step can take a long time with knits. This fabric does roll at the edges. 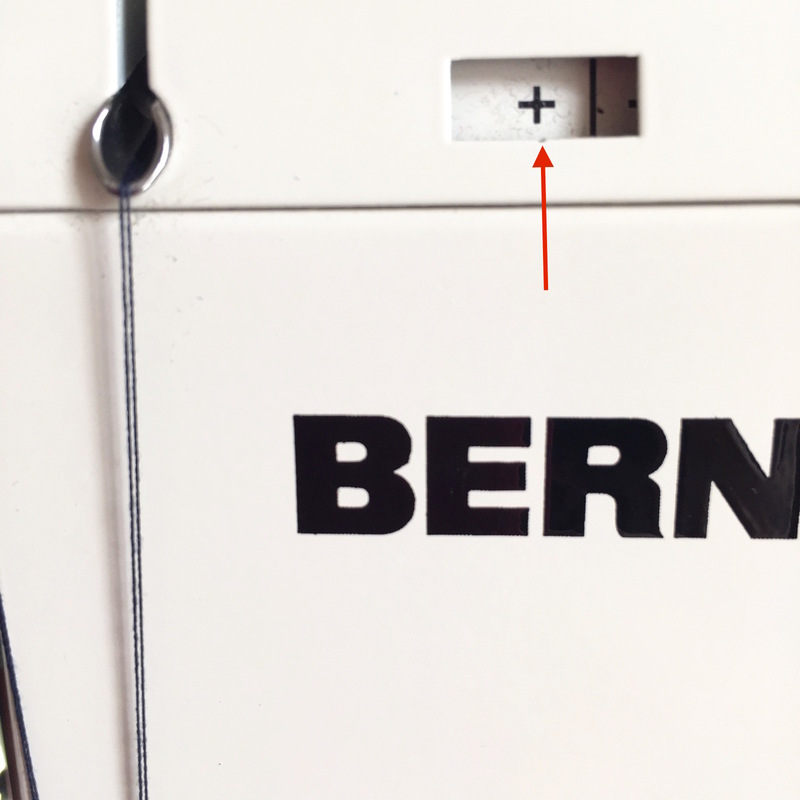 Sewing - Sewn on a mix of Bernina record 830 sewing machine with walking foot and size 75 stretch needle and using a small zig zag (length 1, width 1) for open seams/split and a Brother 1034d serger for closed seams and edging. It could be sewn entirely on a sewing machine and edges do not need finishing as they won't unravel, it just looks neater. Instructions - The pattern instructions are quite brief as is the Named style. There is a lot of detail in the first few pages covering methods which apply to most garment sewing, assembling PDFs etc. There are only a few pieces to fit together so not a huge amount of instruction is needed. 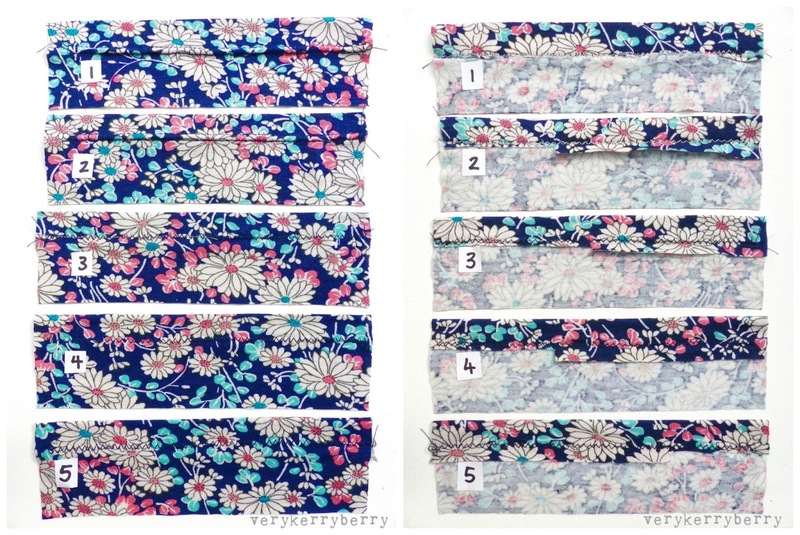 There are a few diagrams which are most relevant to sewing up with a woven fabric. There are no particular instructions for knit fabrics. I sewed the neck and arm band edges using an excellent tutorial on Colette pattern's website. 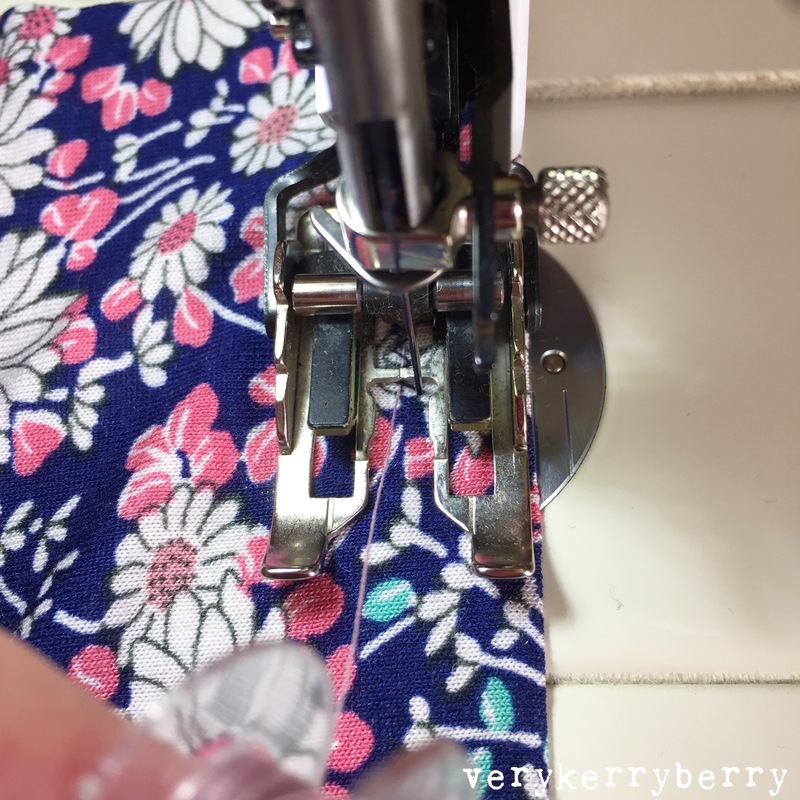 using a zig zag stitch to catch the binding. A double needle hem would've been a struggle to sew with the layers. I raised the armhole by approx. ¾" as the weight of the wrap was showing a lot of side bra! I was careful at all times to support the fabric as I was sewing. 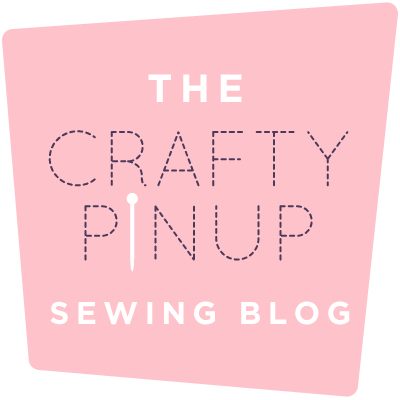 The drapey fabric has a bit of weight to it so use your knee, table or ironing board to help hold up different sections as you sew. 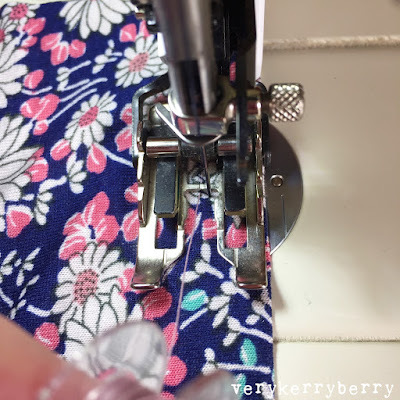 Adding hem using double needle, ¾"interfacing and sewing the hem approx. ⅝" from folded edge. 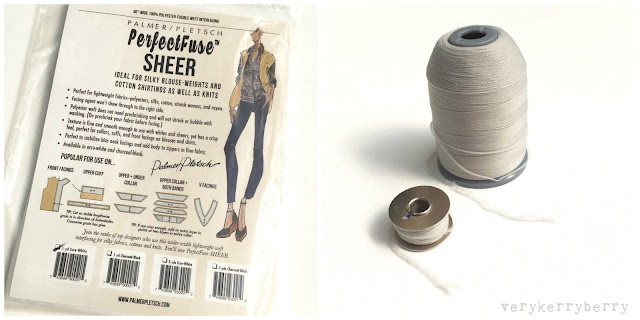 Interfacing for knit fabrics (Perfect fuse sheer) used on split and hem. For the hem, I cut the strip so the stretch is horizontal to create extra 'give' in the hem. Interfacing tape (Vilene) used on back shoulders. This has a line of stitching built into the interfacing to stop the shoulders stretching. This seam can then be pressed to the back to prevent irritation. You could also use woven tape or clear elastic. Binding tutorial: Colette's excellent 'How to Bind Knit Edges": 4 Complete Methods for neck and arm holes. I used the 'clean finish' method and cut the bands cut according to their calculations and sewn using a ⅜" seam allowances (as is the rest of the dress). The fabric- how thick, how stretchy? 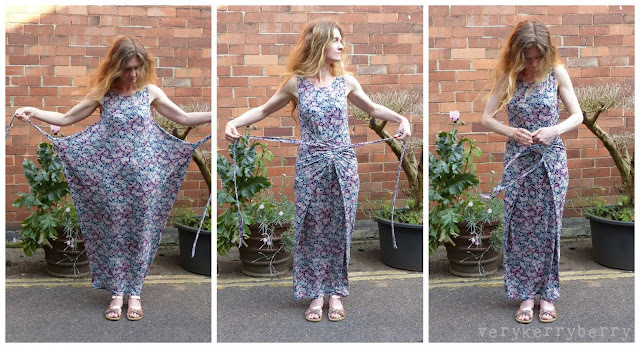 The hem function- does it need to be strong enough to stretch? 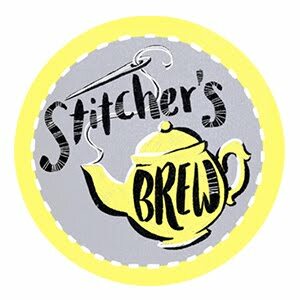 Straight stitches will pop one when stretched. Appearance: how do you want it to look? Zig zag? 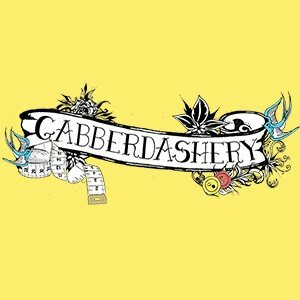 Copying ready to wear garments with two lines of stitching, created by using a double needle for stretch fabrics? I use Hemline (Klasse) size 75, 4.0mm (gap between the needles) twin stretch and a wooly nylon thread hand wound on to the bobbin to help with elasticity and stretch. For more details on this technique, see here. 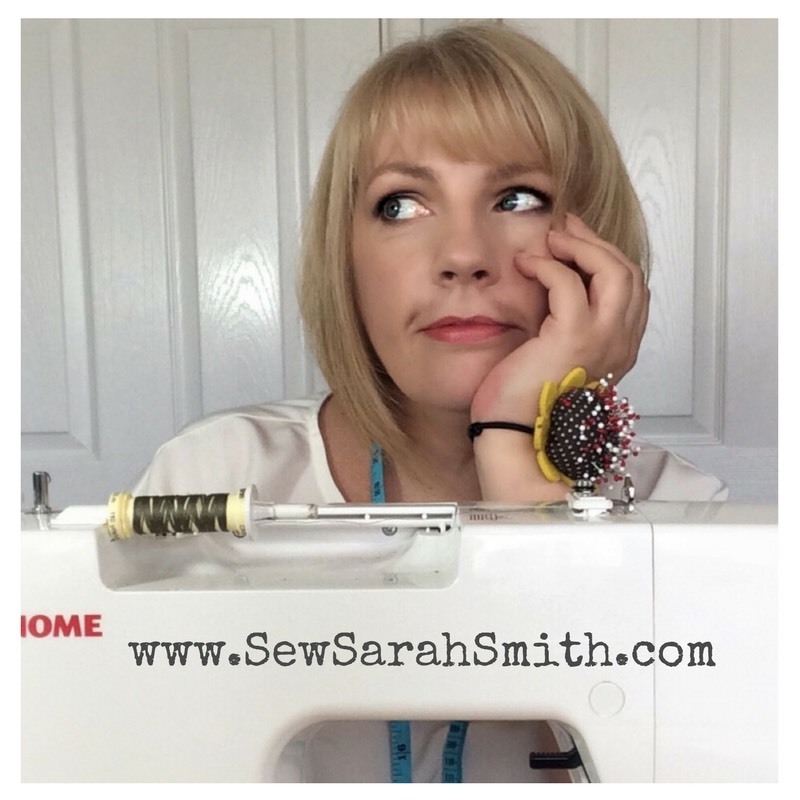 I sewed up five different hem samples to show you the difference when adding stretch interfacing, using wooly nylon, how close to the raw edge the hem is stitched, cutting away excess, using a double needle, using a zig zag. All samples were sewn using a walking foot and Gütermann thread on the thread spool and all were pressed- click to see extra large! Note the tunnelling- the bumpy ridge between stitching line, even after pressing. It's a great summer dress, flowing because of the width of fabric at the wrap area but elegant and column shaped from the tapering side seams. I raised the split to compensate for shortening the hem and it is easy to walk in- I am a strider! The dress can be bundled in a ball and thrown into a case- perfect for holidays so I know it will be going to the beach with me in a few weekend's time. I've worn it for dog walking, hitching up my skirt to scoot up a hill with no problems and in hot weather it is light and airy and benefits from the cool-to-feel touch of rayon in the blend. It's a dress to store in a drawer or on a shelf rather than hang as the weight of the fabric could stretch it out of shape. These are all chosen because they are lighter in weight, have a cotton component, and some have rayon in the blend. 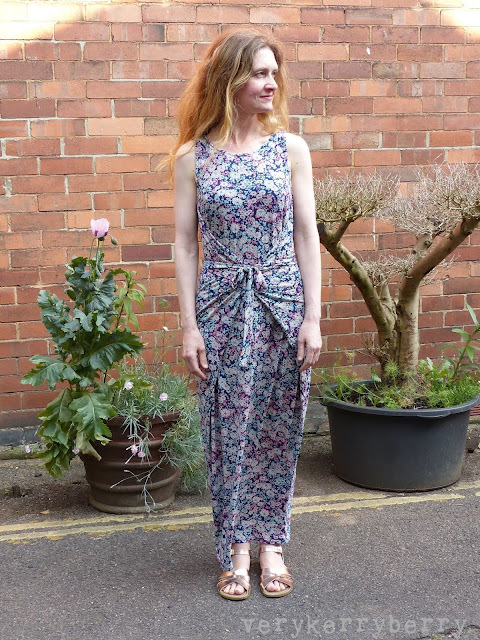 I've avoided lycra as I didn't feel this dress needed it, but Cotton Lycras could also work. A lighter Ponte might be good too. It's a versatile pattern as I've seen woven versions as well as knit and for stretch fabrics, different amounts of stretch seem to work as well as the lower stretch fabrics. It's a flattering and forgiving fit- the ties can also work wrapping to the back or just loosely fastened for a tent-like fit on sultry days. 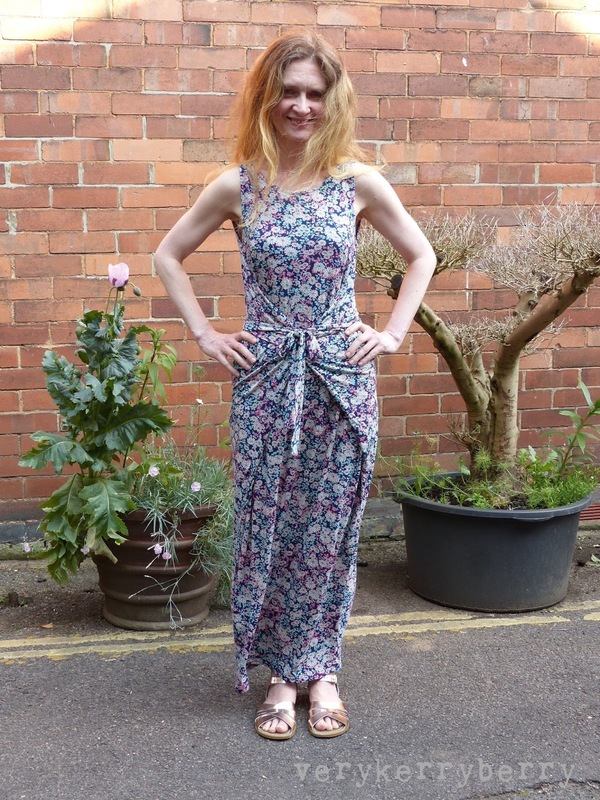 Thank you to Mark for sending me the fabric and Laura from Named Clothing for supplying the pattern PDF. Fabric and pattern provided for free, all opinions are my own. Thanks for the wonderful tutorial Kerry! 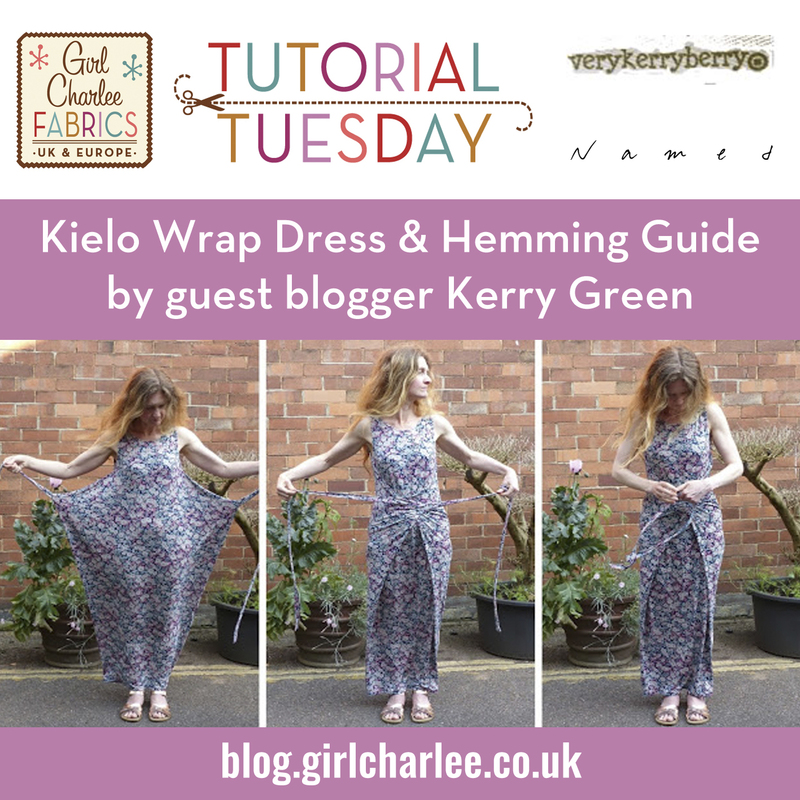 The dress looks fantastic and the Hemming guide will be invaluable for anyone sewing knits! 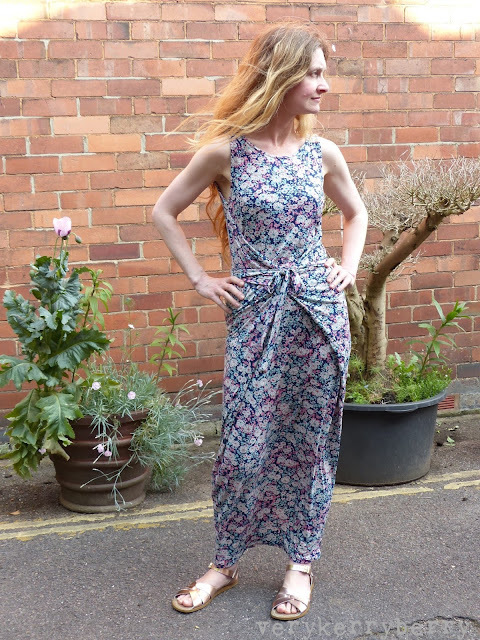 As Kerry mentioned, we now have the Kielo Dress available to download HERE and will be adding lots more lovely Named Clothing Patterns in the coming weeks so sign up for our newsletter to be notified of new arrivals! That is fab! And, yes, a definite holiday dress. Thanks Lynz! It's a great combination!